I miss Gourmet Magazine! The magazine had good articles and great recipes. This recipe is from one of their old issues. I have be to honest, I’m not a meatloaf lover. I wanted to try something new that was easy and flavorful and I stumbled across this recipe. I was quite surprised with how delicious this meatloaf turned out. It was moist, with a little spicy kick from the chili powder and had a good assortment of veggies. The combination of dried apricots and jam, completed the dish. It added moisture and little sweetness. It was dinner for my family this week and there was not one remaining piece of meatloaf. Try it! Soak bread crumbs in milk (or water) in a large bowl. Stir together water, remaining 2 tablespoons preserves, and remaining 1/2 tablespoon soy sauce and brush over surface of meatloaf. Bake until an instant-read thermometer inserted into center registers 165°F, 1 to 1 1/4 hours. Let stand 10 minutes before serving. Cooked the meatloaf last night, it was delicious!!! Let it rest for a while. Used half light and dark meat ground turkey. Left out the parsley and used the water. It took 1 hour, 15 min. to cook, started checking at 50 minutes. 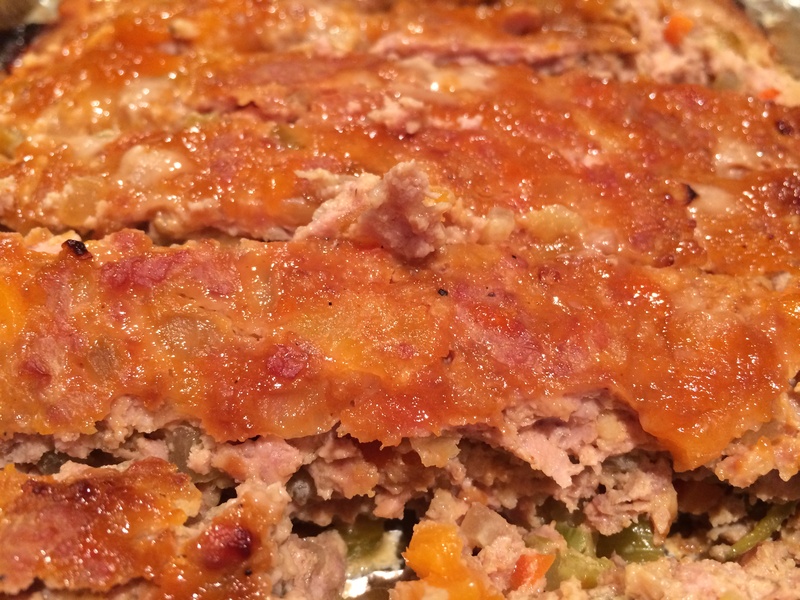 My husband usually does not like turkey meatloaf but he loved this recipe. Would highly recommend….